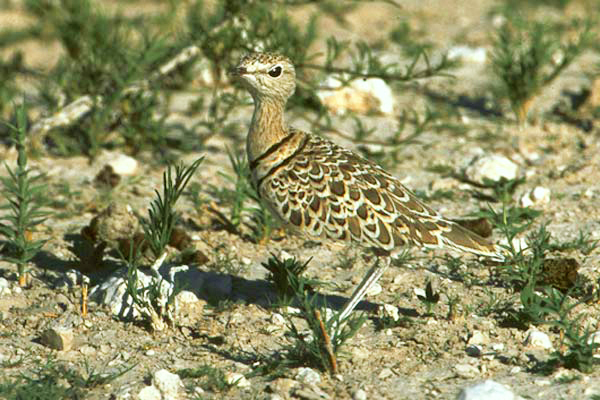 Found in East and South Africa in open, stony areas, this bird is typical of coursers in being well camouflaged. 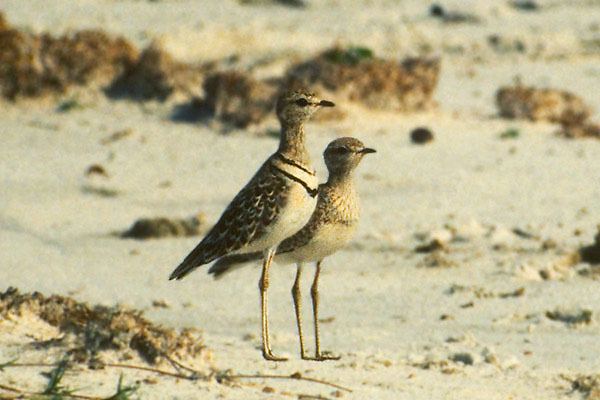 Most are nocturnal or crepuscular, but they may often be seen during daylight when they prefer to run from danger rather than fly. Presumably these birds, taken in Namibia, did not consider our Land Rover a threat.